Asthma Attacks On The Rise: What Treatments Are Available? In response to the rise in asthma cases in recent years, a team of researchers in Sao Paulo, Brazil felt compelled to find effective asthma treatments. 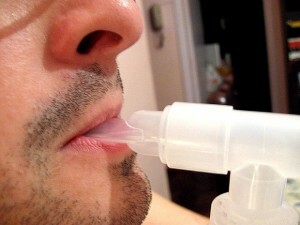 Taking into account medical research that indicates certain lifestyle habits as well as environmental factors, such as obesity, pollution in the air, water and soil as well as poor diet, may play a significant role in a person’s probability of developing asthma, they realized that one size may not fit all when controlling the condition. The solution was not to use just one therapy, but to combine several therapies. To prove this theory, they conducted a study to evaluate the short term as well as long term effectiveness of various combined therapies used to control asthma in obese adolescent patients. The sample included seventy-six study participants that included fifty who were not asthmatic. At the onset of the study, the levels of adiponectin was measures in all of the participants. Adiponectin is a protein hormone that has been shown to act as an anti-inflammatory within the cells that line blood vessel walls. At the same time, they measured the levels of leptin which is a hormone that is key in metabolism of fat in the body. They also measured the C-reactive protein in the bloodstream. Healthy people do not produce this protein. Production does not begin until there is infection, injury or inflammation within the body. When the body heals, the C-reactive protein disappears. The study involved a combination of therapies that included exercise, nutritional modifications, medical therapies and psychological counseling. Lung function and instances of asthmatic episodes were closely monitored and documented. This combination of therapies resulted in reduced levels of C-reactive protein in the participants’ bloodstream and vastly improved lung function in both the asthmatics as well as non-asthmatics which included a reduction in symptoms and severity.